Orthodontics in Navan is the area in dentistry that treats malpositioned teeth and jaws by using braces. In other words, orthodontics is all about straightening teeth to give people beautiful smiles, and healthier mouths so that they can smile with more self – confidence. Brace treatments can be carried out by either an orthodontist or a general dentist. Dr. McMorrow will assess each patient thoroughly, and discuss the various brace options, and then tailor the treatment to an individual’s end goals and the appropriate time frames. This will allow patients to commence their journey to achieve the smile that they have always wanted. Orthodontics is one of the most life changing treatments available at Navan Dental, and patients will commonly say at the end of their treatment, that they wished that they had done it sooner, or that it’s the best money that they’ve ever spent! Orthodontics is often seen as a treatment for children, yet adult orthodontics is the fastest growing treatment in dentistry today, with many celebrities such as; Tom Cruise, Niall Horan and Kendall Jenner having worn braces recently. 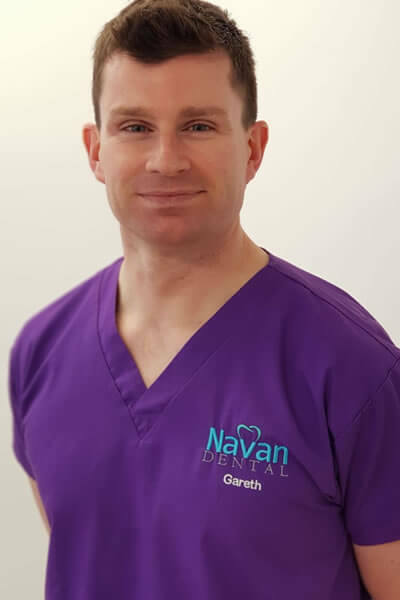 The first part of the orthodontic process at Navan Dental is to book an appointment with our experienced brace dentist, Dr. Gareth McMorrow, who has a particular interest in the field of orthodontics. The Inman aligner is an efficient brace that can help straighten your front teeth in around 6-18 weeks. It will align the front teeth quickly and safely. It is a technique that has been around for many years to treat problems with the position of your front teeth. They have gained popularity more recently due to the media attention that they have received and their advantages over fixed metal braces. Clear braces are smooth and contemporary, correcting the position of your teeth. The best part is that these braces are virtually invisible to other people, meaning that you can have your teeth straightened without anybody else knowing!